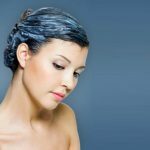 This Home-made mask will help your hair become stronger and healthier. Every woman aspires to have a healthy, shiny and thicker hair. After all, such hair is one of the main asset of women which draw everyone’s attention on them. Thick and beautiful hair empowers woman in the eyes of a man’s sexuality. Just think of a single household masks which is widely used and is one of the most effective ones. Although this mask might not be suitable for some kind of hair because at the end choosing the right mask varies with the type of hair that you have. 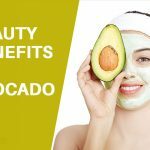 This mask has left many positive impressions on women who have used it. They all talk about significant improvement in the condition of their hair which has now became evident to others. Heat the yogurt in a cup and add 2 tablespoons colourless henna. Stir this mixture and leave it for 15 minutes for Infusions. Then apply it on the scalp and spread evenly across the hair after 30-40 minutes rinse it with water. This mask is recommended to be used once a week. Regular use of this mask will give your hair more volume, beautiful shine and significantly accelerates their growth. Before using these masks make sure that you do not have any contraindications with their use. It is inspiring that nature provides us with many options that are affordable and easily available. We just need to opt for the one that works best for us. 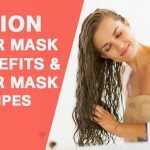 Home-made mask will help your hair become stronger and healthier. Every woman aspires to have a healthy, shiny and thicker hair.